One win in ten matches has seen Tamworth drop from 8th place to 15th in the table, a run which coincided with their FA Cup adventure. Marcus Law's team host Barrow on Saturday in a match that is close to call according to the prices. Home advantage gives Tamworth favouritism at 13/10, with Barrow offered at 7/4. Five straight wins and over 400 minutes without conceding a goal in the Blue Square Bet Premier has seen Luton Town rise to third place in the table. The Hatters have seen their title odds slashed from 10/1 to 11/2 in recent weeks, a figure much nearer to the price they were quoted at the start of the season. Gary Brabin's side needed to go on a winning run like this to have any chance of catching leading duo Wrexham and Fleetwood Town. Despite their haul of 15 points from 15, they will still kick-off their match at Southport on Saturday eight points off the top of the table and a game ahead of both of their rivals. Luton's run of wins were all achieved against sides in the bottom ten, so an away game at the seventh placed Sandgrounders represents a bigger test than they have faced of late. Having beaten his former side 5-1 at Kenilworth Road earlier in the season, Brabin will no doubt fancy his chances of extending the winning sequence at a price of 11/10. Luton have only lost once in 14 away games all season, form which includes five 1-1 draws. A draw in this game is priced at 9/4 and another 1-1 draw quoted at 6/1 on our ‘correct score' market. Southport, with only two wins in their last seven league games, are quoted at 23/10. With Wrexham at home to Kettering and Fleetwood away at Darlington we won't be quoting prices on either game, but with 3 points expected for both of their title rivals the game at Haig Avenue is an important one for the Bedfordshire outfit. A home victory over in-form Kidderminster Harriers extended Gateshead's winning run to three matches and put them up to fourth in the table. Ian Bogie's team are maintaining their challenge for a play-off place and look to be winning their battle to keep hold of top-scorer Jon Shaw. The striker will be key to their hopes for the rest of the season starting with this weekend's home game with struggling Lincoln City. The Imps were dumped out of the FA Trophy by lowly Carshalton in midweek and boss David Holdsworth had some harsh words for his team. It's no surprise to see a home win quoted as short as 4/6 for this game, with Lincoln offered at 15/4. Fifth placed York City have only lost one of their last 16 league matches, but a host of draws amongst that run has seen the Minstermen lose ground on the title race. Gary Mills' side are still in contention for promotion via a play-off place and are 8/15 favourites to cement that position with three points at home to Ebbsfleet United on Saturday afternoon. Kidderminster Harriers were thwarted in their attempts to reach ten unbeaten league matches with their defeat at Gateshead just over a week ago. Steve Burr's team travel to Alfreton Town at the weekend and are the 6/5 favourites to get back to winning ways. Three defeats in 8 matches represents an upturn in form for Alfreton from their early season struggles and they are 7/4 to get the win that could take them out of the division's drop zone. Cambridge United have not won away from home since early November, but they are still quoted as the 6/5 favourites to win at AFC Telford United this weekend. Just two wins in their last nine matches has seen Jez George's side slip from third place to 8th place in the table. On a positive note The U's are still within touching distance of their target of a play-off place. Opponents Telford registered their only victory in seven at home to Kettering, a game they were heavily odds-on to win. 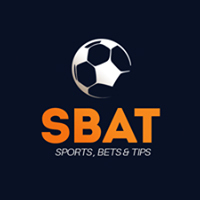 Their form outside of that has been poor and they are 15/8 outsiders to make it back-to-back victories in league games for the first time since March of their Blue Square Bet North play-off winning campaign last season. Grimsby Town completed a ten match unbeaten league run with a valuable 1-0 at Cambridge United a couple of weeks ago. That was their fifth straight league win and that form makes them strong 4/9 favourites for their home game with bottom club Bath City. Mansfield Town are also quoted at 4/9 for their home game with second-bottom Hayes & Yeading United. The away side turning up at Field Mill on a four game losing streak. One win in ten matches has seen Tamworth drop from 8th place to 15th in the table, a run which coincided with their FA Cup adventure. Marcus Law's team host Barrow on Saturday in a match that is close to call according to the prices. Home advantage gives Tamworth favouritism at 13/10, with Barrow offered at 7/4. An even closer match according to the prices takes place in South Wales. Mid-table Forest Green Rovers have not won in their last four league matches and make the relatively short-trip to Newport County, both teams are quoted at 6/4 to get the three points. Stockport's only away win this season came at Bath back in mid-October. Jim Gannon's team travel to Essex to face Braintree Town this weekend and a second away win is as big as 5/2. Braintree are the odds-on favourites at 10/11 to register another home win.